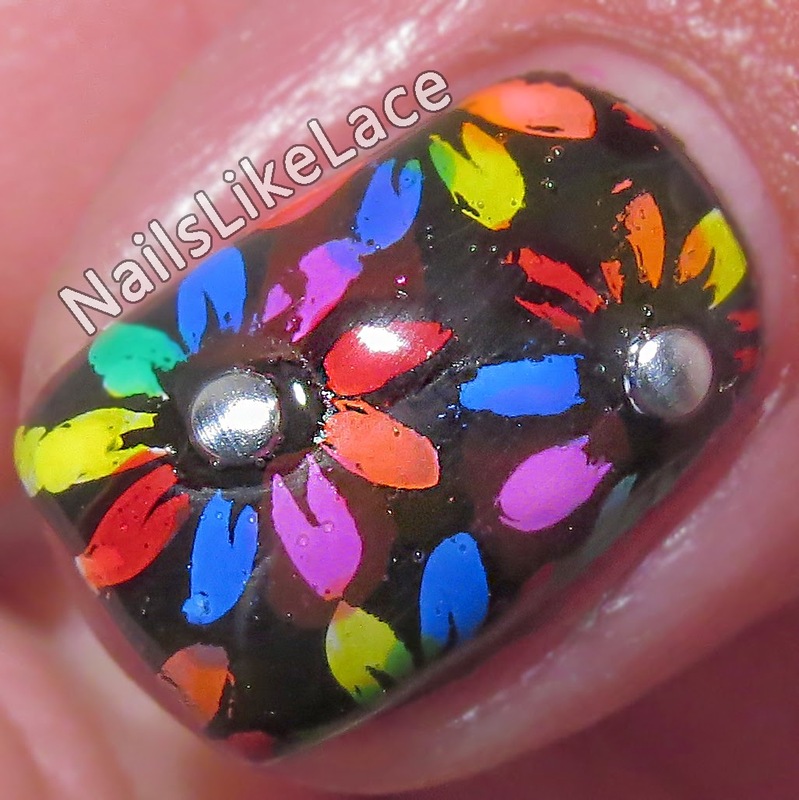 My most recent Instagram nail art collaboration was "Rainbow Floral". 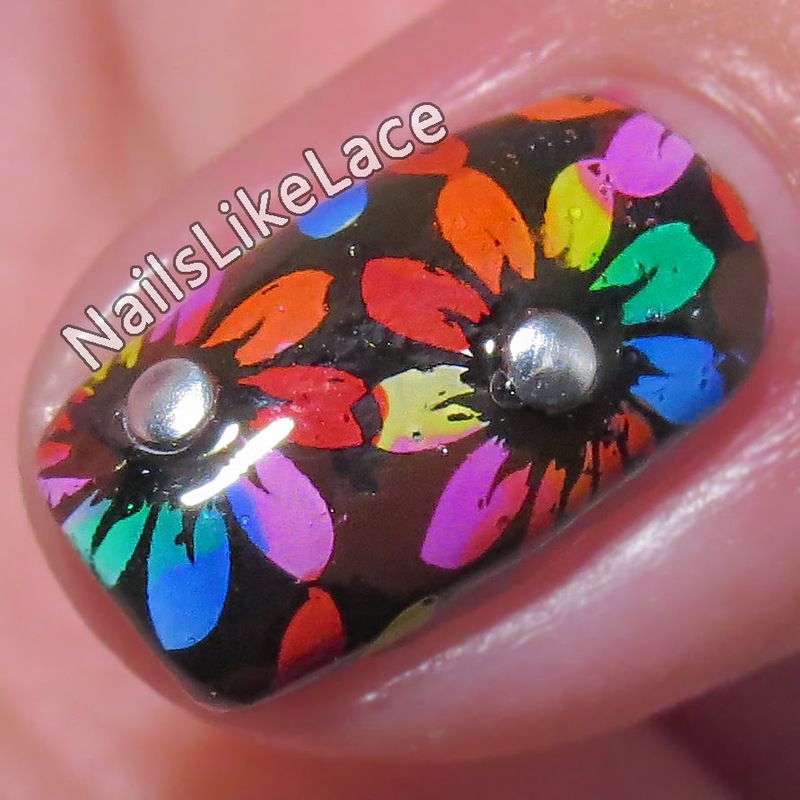 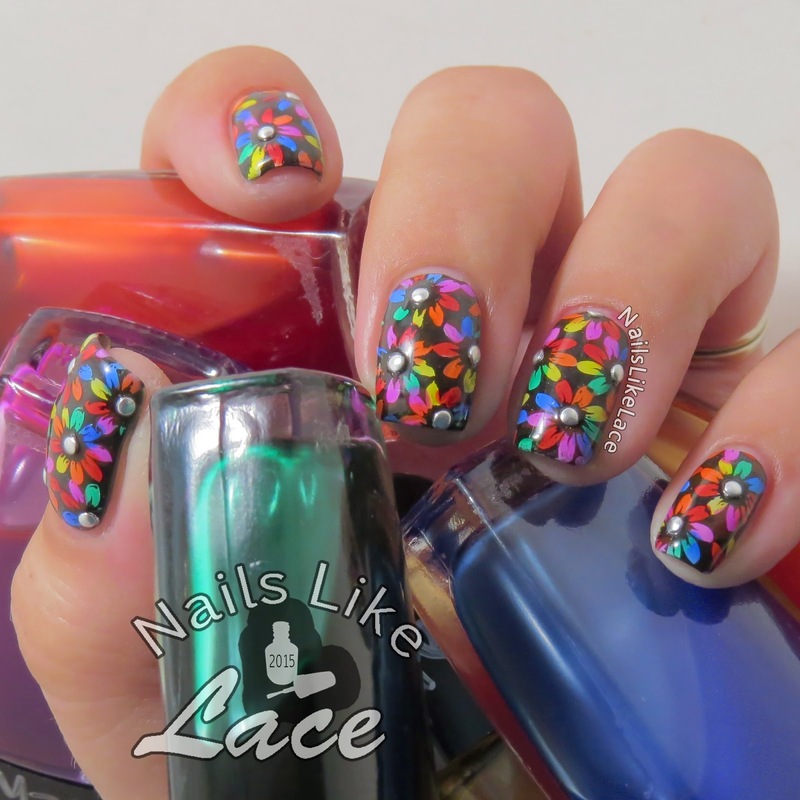 This is the mani I did as my contribution to the collab. 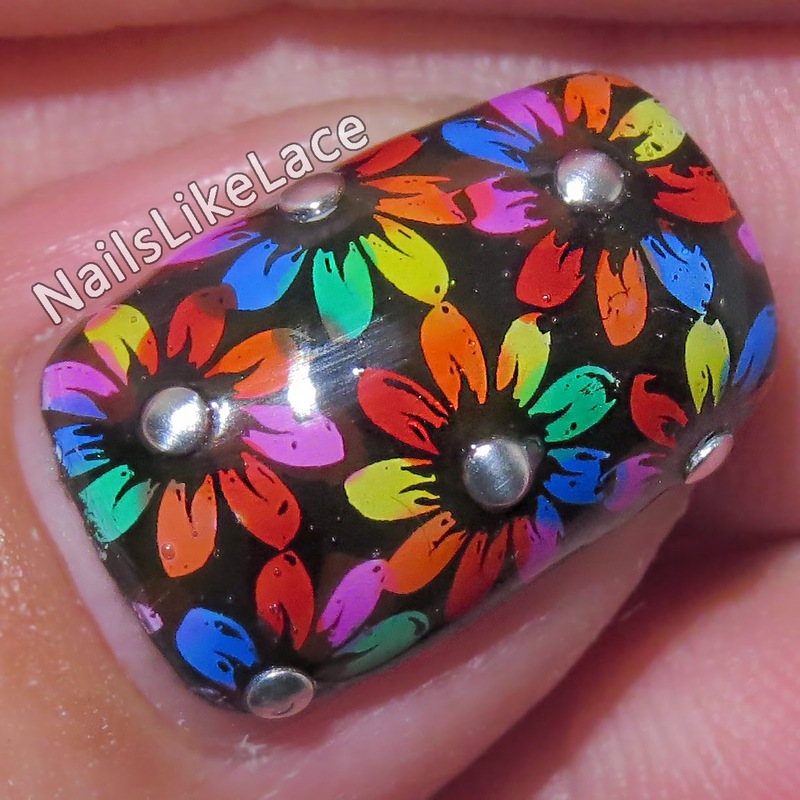 I started on a black base of NYC Black Lace, stamped my flowers in white, colored them in with my DIY sheer tinting polishes (tutorials showing how I made them and demos using them here), and added some silver studs to the flowers' centers. 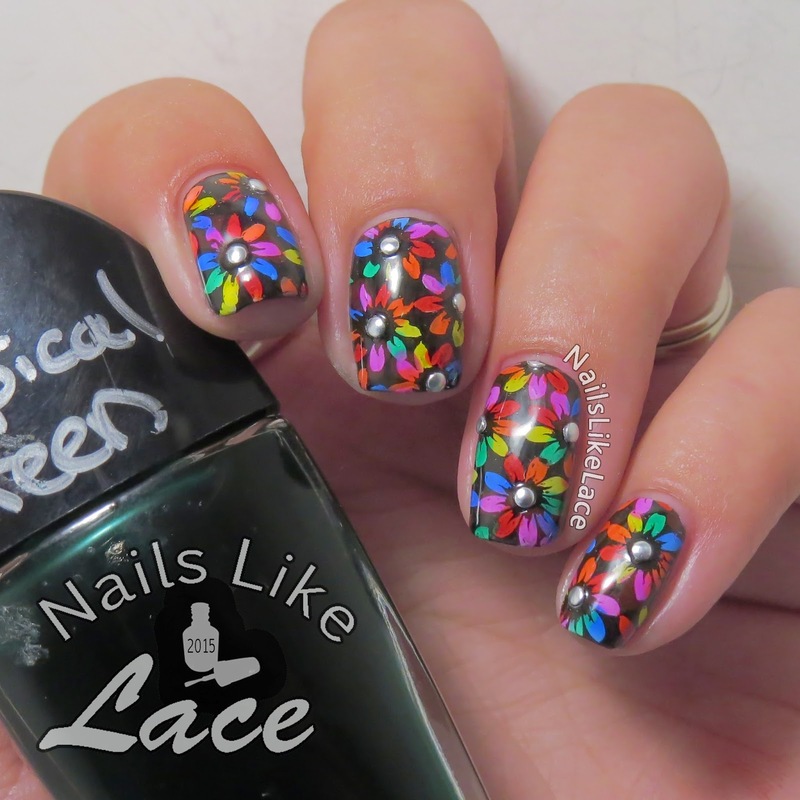 I loved this mani so much I wore it for almost an entire week! 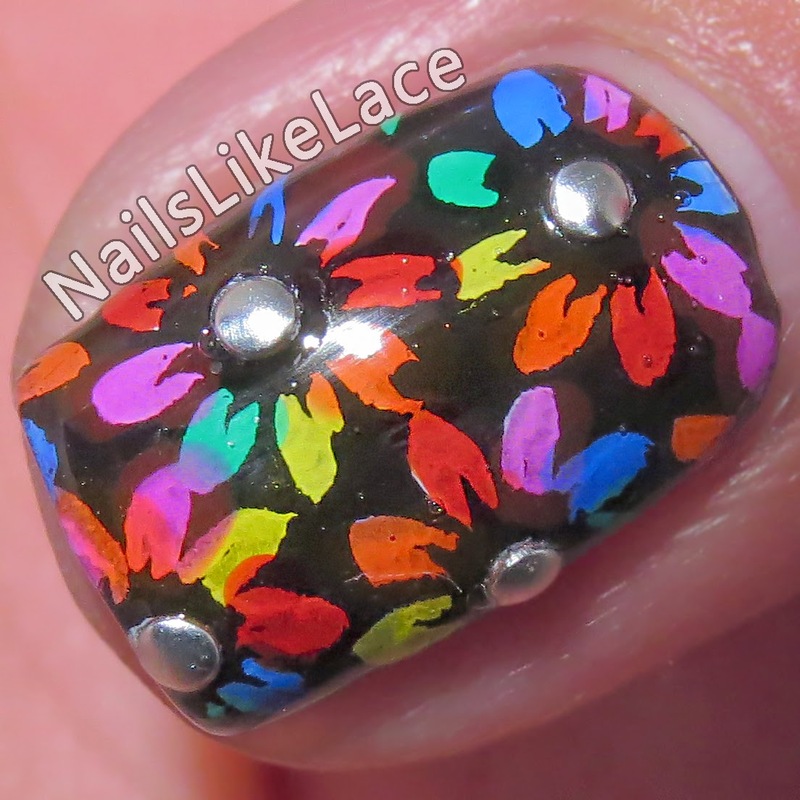 That's unusual for me unless I'm exceptionally thrilled with a design! 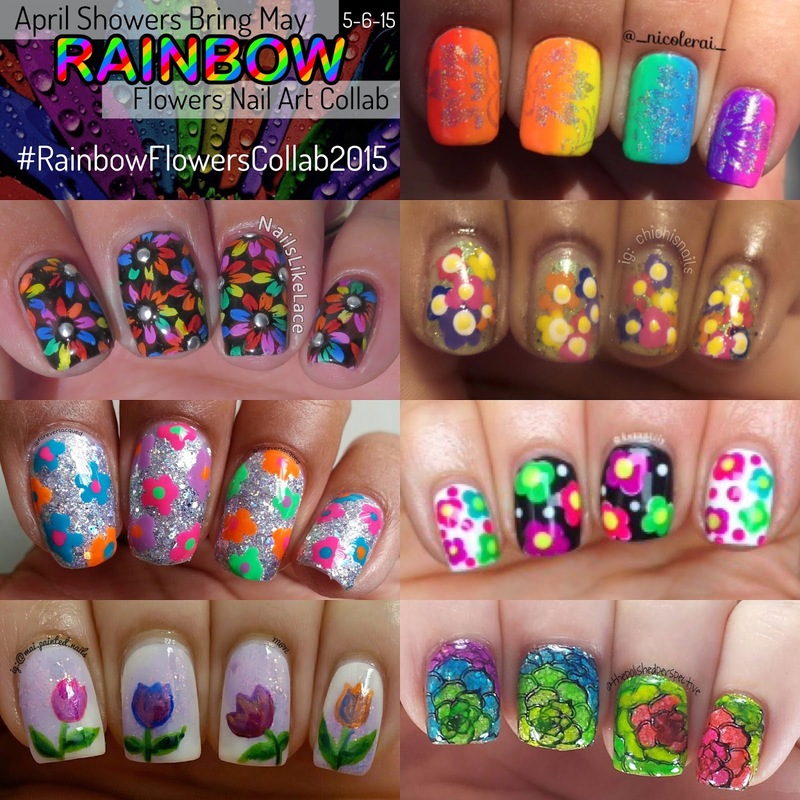 If you want a better look at what everyone else did for the collab, check out the #RainbowFlowersCollab2015 tag on IG!